Real, honest, testimonials from real customers. Visit our contact us page to submit your own testimonial! September 2006 marks the 20th anniversary of our condominium. My wife Alyce and I have been residents here since the beginning. I was a member of our first board of Directors and treasurer; and have served extended terms on the building & Grounds and Budget & Finance committees. 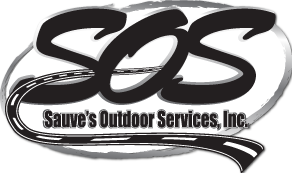 For the past four to five years, SOS has provided our lawn maintenance and snowplowing work on a contractual basis. In my judgment, they have done excellent work. Brian Sauve has also provided other services for us such as tree and shrub trimming and drain tile installation at our request or anything we have asked him to do. He has a lot of knowledge in ground maintenance. We have found their prices to be very reasonable and have been pleased with the quality of the work. There are advantages to having a versatile firm such as SOS as a contractor. S.O.S. , Thanks for the excellent services on my difficult parking lot. Have a great new year! Thanks for the great job of snowplowing this year! Hope to have you again next year. I’ve spent several years trying to do the upkeep on my property and not winning the battle over weed control and keeping a nice, green lawn. I hired what I felt was the best, as well as the best-priced, for lawn service needs and have been totally satisfied. Constant changes and upgrades in today's chemical warfare on weed control is a problem I let the professionals handle. The simplest part of my lawn care is to point out what I need and what I don't want as for weed control and fresh, clean grass. When I get home from a hard day’s work, my lawn is the last thing I want to worry about! SOS offers a full service line from spraying, seeding, fertilization application, and aerating, utilizing a full line of equipment to provide professional and quality work. SOS' equipment is new and sized for my yard as well as acreage application. It rivals the quality and accuracy of what modern landscaping and lawn care companies claim of being the best kept and greenest lawns. From a homeowner’s perspective, SOS has been great. Their schedules have worked for my needs. Mr. Sauve shows up when scheduled, and completes the scheduled application in a timely fashion. He follows up with on-site visits and phone calls to see if the desired effects happened and takes care of any problems or issues without hesitation. Thank you for all you do. Thanks so much for your great service. My parking lot looks awesome!! !